Hayat is a Youth Ambassador with the Global Campaign to End Child Immigration Detention. World Children’s Day celebrates the humanity and dignity of all children across the globe. Today commemorates 28 years of the Convention on the Rights of the Child being in force. It is now the most widely ratified convention, and clearly states that detention of children is a Child Rights violation. With displacement at record levels around the world – over 65 million people forced to leave their homes – these international child rights laws are more vital than ever. Today, Hayat shares his story to commemorate the international human rights of children. I was born in Afghanistan. When I was eight years old, my mother decided to flee to Pakistan because one day my father, who was a furnishing contractor at the school, was arrested by Taliban on his way back home, and they took him away. Since that incident, we haven’t heard anything further about my father. My mother moved me and my two siblings to Pakistan. On the way to Pakistan, smugglers hid my family and me in a truck to pass through the border. After three months in Pakistan, my mother decided to enrol me and two siblings in school. We started studying in one of the Persian schools, located in Quetta, Pakistan. On top of regular school, I was also studying the English language. I was very excited to learn English, because we did not have a system to learn it in my homeland, and to me, education is so important. Living in a country without valid residency was difficult, because my family and I were afraid of deportation. In Pakistan we faced many barriers: lack of legal documentation, safety, the threat of deportation. Also refugees could not attend university, because we did not have legal status or documents. 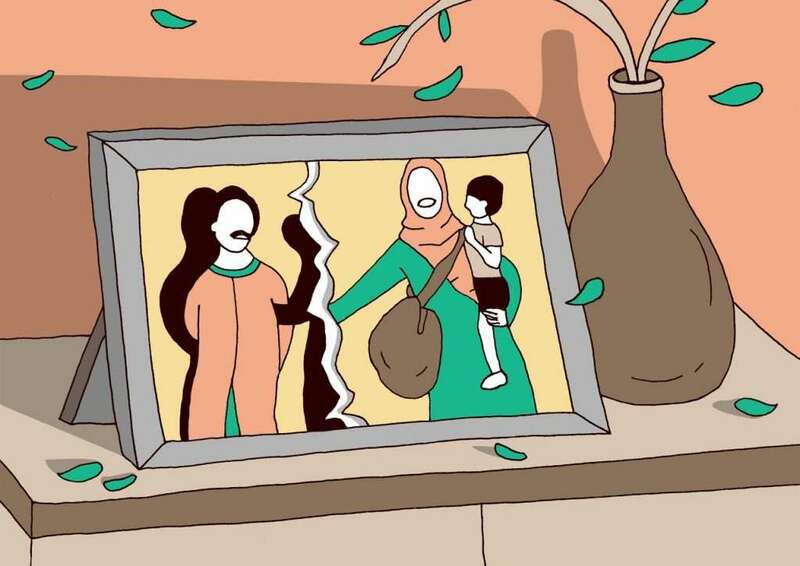 After nine years in Pakistan, when I was 17 years old , my mother decided to return to Afghanistan because she thought it had become safe for us to live there. After we arrived in my homeland, I decided to teach English to children, because I wanted to give back the knowledge I had learned to others. I started with ten students. They were very enthusiastic about learning English. I continued teaching English, though I faced various challenges because there were many people against it. The majority of people supported it, but it was hard to ignore those against us. After three months of running the language centre, I received a threatening letter. They even attacked my house. Fortunately, I escaped that night, and I went to my aunt’s home. Late that night my mom came to me, she insisted that I leave and go to Pakistan for my safety. On the way to Pakistan, smugglers gave an “Afghani cap” so that we blended in with others as we crossed the border. Finally, I arrived in Pakistan. My mom arranged for her brother to send me to a safer place. A month later, I began travelling with five other adolescents, like me. We had no idea where I would end up. . We arrived in Thailand and us travellers were kept in a small, dark room for two days. There were cockroaches all over the room, and there were no beds, we had to sleep on the floor. The room was somewhere in the middle of the jungle. I don’t remember much from that time, it was not a good memory. Then the smugglers took us to Malaysia. On our first day in Malaysia, we were given plastic bags to put our personal items and other necessities. 20 of us were then put in a “fast track boat” to cross the Malaysian border. After 6 hours travelling by water, we arrived in Indonesia. I had never been on a boat before these long travels. 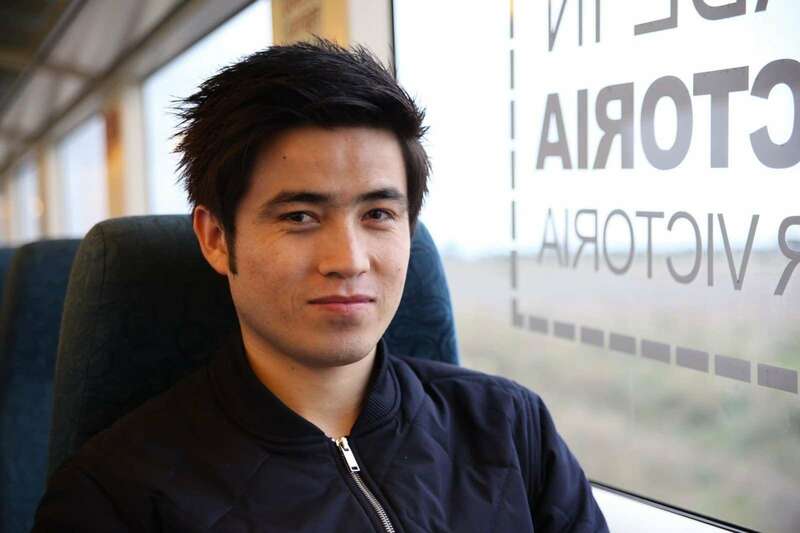 I had no choice and thought that if I didn’t get on the boat, I would be stuck for years in a country I didn’t know. 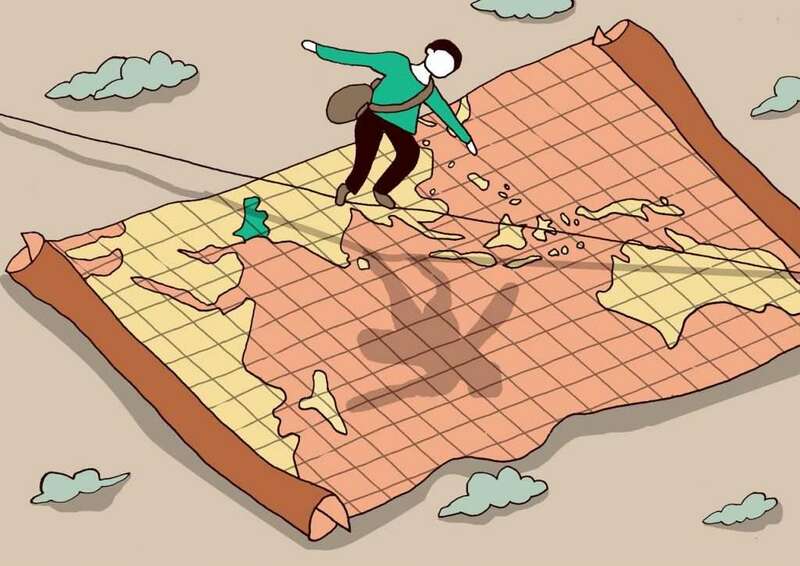 In Indonesia refugees have no legal rights, and we could not attend school or work. It was painful to see children at different ages without a proper educational system. Some asylum seekers in Bogor and other cities have started to teach children. UNHCR and other humanitarian organisations are now responsible for the children, and must pay attention to them and take them away from the darkness I experienced there. So after one month, I decided to take a boat towards Australia. My roommate called a smuggler who told us it would cost $6000. The smuggler said he wouldn’t charge us until we arrived in Australia. We agreed to the deal. Ten days later, my friend received a call from the smugglers telling us to come to Jakarta, because we were to board a boat..
We went to Jakarta, and after spending 2 nights at a house owned by one of the smugglers , we were told we could not go outside and they searched every single one of us and took our money and cell phones. Luckily, I had hidden my cell phone. 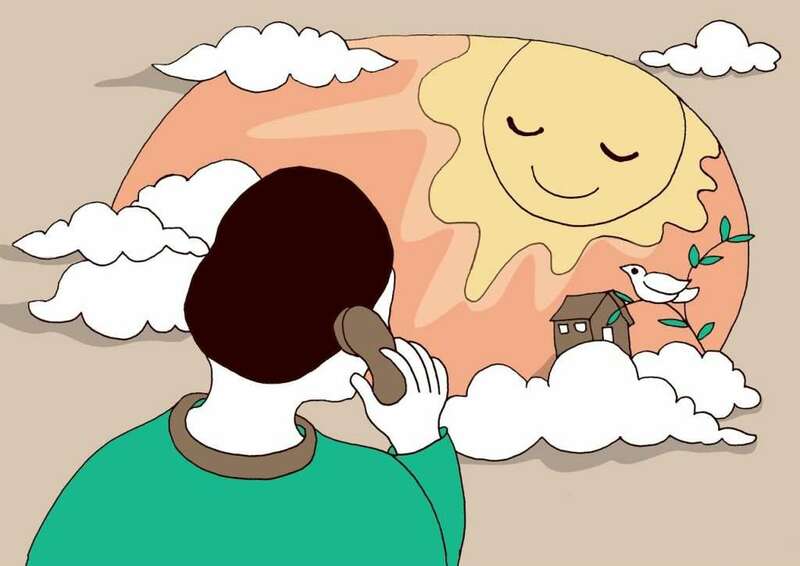 I wanted to be able to call my family and let them know that I remained alive. It meant a lot to me to be able to speak to them and hear their voices. The smugglers took us to board the boat. We got on a small motor boat, which took us to a big fishing boat. These boats were in very bad condition. They were leaky, old boats. The water was dangerous, and after traveling for a couple hours the boat crashed into rocks and sunk. Luckily, none of us lost our lives and we made it to land, but we lost our bags and all of our food. We remained in the jungle for 5 days. It was dangerous in the jungle. A group of 8 of us slept together under a wooden ceiling. We agreed for two people to remain awake for three hours at a time to keep watch and make sure we were safe from danger or animals. We rotated this responsibility so that everyone was able to get a bit of rest. We were lucky, because there was an Indonesian family living there. They took us to a place to rest, and the first day they brought us food – rice with no oil and no salt. But after that they couldn’t bring us food, because they were very poor themselves. For the following days, we ate only coconuts and drank coconut water. On the fifth night, we boarded a boat with the smugglers and started our journey towards Australia. 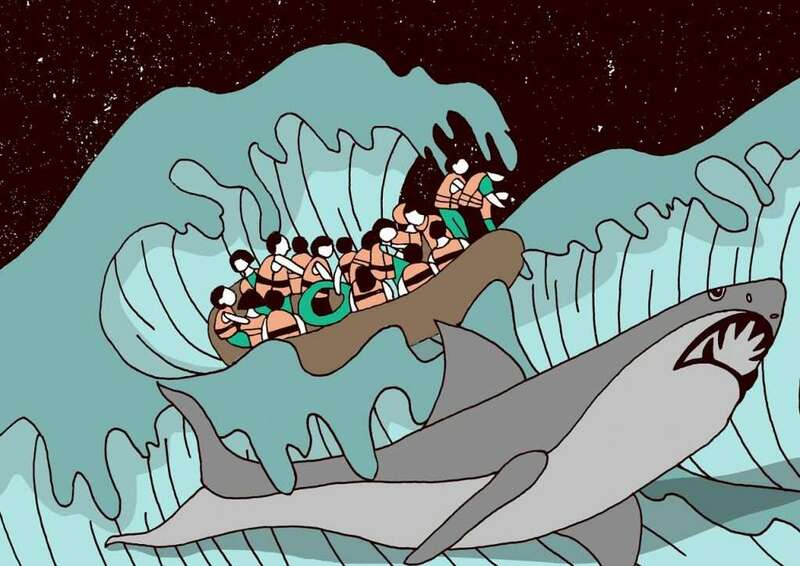 The boat was over loaded, there were 102 people on board. Our fifty-two-hour journey began. On the second night, we were in the middle of the ocean, all we could see was black water. It started raining and thundering, the waves were higher than our boat. Everyone, including women and children were crying, praying, and screaming. Two women even became unconscious. We made a call to the Australian navy for help, and they said they would send help to rescue us. A whole night came and went, with the waves and fear and the black black sea. I was sure that we would not make it, and this time it was too far to swim to shore. Early the next morning, as the sun rose, one of the passengers shouted that he could see a small boat coming towards us. Finally, we could see the boat, it was the Indonesian navy. They took us all on their boat and brought us to an immigration center in Indonesia. After arriving, many of us tried to escape, but we failed. We were all transferred to different detention centres. I was transferred into “TanjungPinang” detention center with 12 others. It was one of hardest times in my life. I hadn’t spoken with my mother for three months. She knew that I had boarded the boat, but she did not know whether I was alive or not. In detention, we all slept and ate next to each other in one block cell. This time felt like hell for me, and everyone else who was forced to live in there. Every morning you wake up and the first thing you see is bars. This gave us all a deep sense of hopelessness everyday. We did not have any educational system provided by any organisation, instead detainees taught each other skills and education. After a month in detention, I decided to start teaching too. 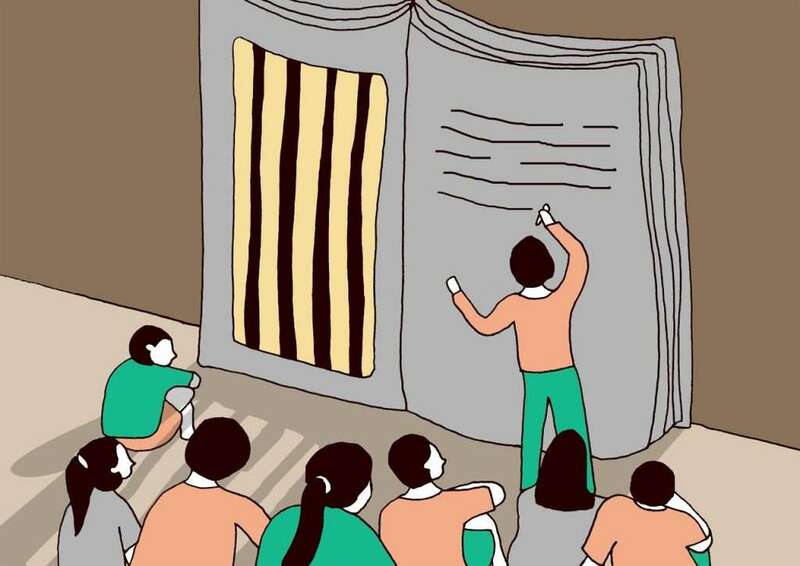 I taught for two months, then some people were released. There were 42 of us living in one room, we were all different ages, even a 14 year old boy. I was 17 at the time, and I ended up being detained in that facility for almost a year. This experience impacted everyone physiologically and mentally. I had hoped to walk outside of the detention for even just five minutes, but I never left my confinement until I was released almost a year later. Can you imagine, what it is like, seeing the same walls every hour of every day for a year, in the same room as 42 other people? Getting released from detention centre and sniff of fresh air was feeling of reborn in the world for me . When I was finally released, I lived in an Indonesian community for fifteen months. Finally, I received my Australian humanitarian visa. I cannot describe the feeling of the moment when the migration personnel confirmed my visa. I was thinking that I would finally be resettled in a country that I can call home, a place where I can pursue my dreams. I called my mother to tell her. After arriving in Australia, I registered my name for” TAFE,” and slowly I started finding my way around and understanding more about Australia. My second year here, I applied for University and I got an offer from two different universities. I accepted one, which is where I am studying my first year university.